If you want to recreate the sea, another sky for me, I got you. Based out of Atlanta, Georgia, Washed Out is Ernest Greene's chillwave solo project. After moving back home to rural Perry, Georgia in 2009, Green began writing and recording synth-based tracks in his bedroom studio and posting them online. Greene's tracks, with their sun-drenched layers and dreamy synths, raised eyebrows in the blogosphere - garnering him indie credibility among the likes of lo-fi/chill wave peers Neon Indian, Toro Y Moi and Small Black. Washed Out's debut EP High Times was released to 200 cassette copies by Mirror Universe records in 2009. His Following EP Life of Leisure was released by Kemado Records to massive critical acclaim in 2010. His song from that album "Feel it Around" was used in the TV show Portlandia. Washed Out's first LP Within and WIthout, released in 2011 on indie giant Sub Pop records, reached #6 on the US Alt chart and #89 in the UK. 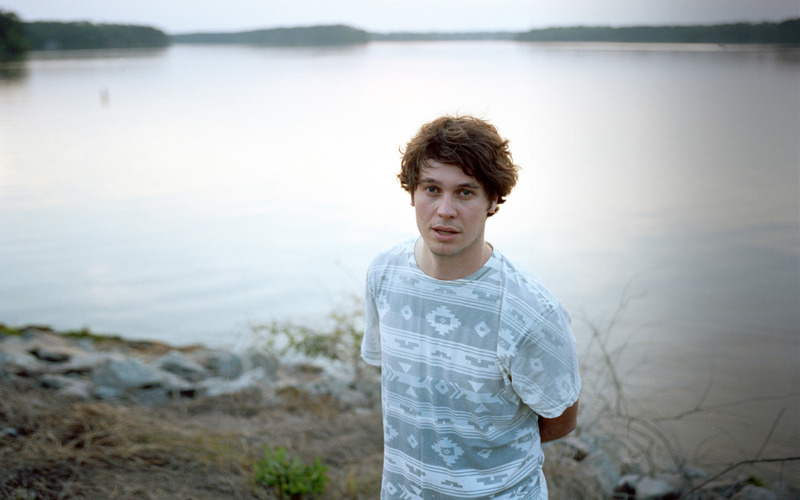 Washed Out is the solo project of 28-year-old Ernest Greene. Unemployed in 2009, he was forced to move to his parent's house in rural Georgia where he recorded his debut EP Life of Leisure. After posting a couple of songs onto his Myspace page, Greene watched his hazy bedroom pop experiments explode onto the blogosphere--to the point that he could play a sold-out show in New York without a bit of prior touring. Of all the über-hip chill wave bands of the last few years -Toro y Moi, Neon Indian, Small Black-none have come to define the movement as much as Greene. It's the 80s influence, the reverb doused synths and vocals buried dreamily underneath, and the fact that it's impossible to describe his music without referencing water or summer. Life of Leisure's “Feel It All Around” is the song that first ricocheted around the blogosphere, and remains one of Greene's best. It's euphoria put to tape, synths twinkling away into the sunset and Greene's vocals layered into a hazy wave of harmony, like the Beach Boys slowed down by 200% and covered in reverb. “Get Up” is exactly three minutes of funky 80s synthpop, chopped up, out of focus, and way more interesting than the vast majority of actual 80s synthpop. “New Theory” is a slice of lazy pop with a devastatingly beautiful and nostalgic wordless chorus. Nearly two years after his debut EP, Washed Out released a proper debut in Within and Without. It's slicker and more polished than the debut EP, which can be a positive or negative depending on your preferences. Album opener “Eyes Be Closed” immediately dumps you in Greene's waves of relaxed, shimmering synths as his vocals float over it all, barely discernible for all the dreamy effects. “Amor Feti” is a gorgeous and optimistic track with house-y synths (buried in reverb, duh) and a dance heart. Greene's vocal melody is arresting as it swells into view and fades into the blissed-out haze from whence they came. By the time the chorus hits and everything's in full swing, the track is captivating; transporting you to a nostalgic dreamland where it's always summer, but you have the uneasy feeling that it's about to slip through your fingers. Washed Out is the polaroid picture of pop music. Nostalgic, beautifully hazy, and perfect for summer.